During the last years, recycling is one of the activities that have become more relevant because each year the world population grows and every day we generate more garbage. There has been much talk about plastic recycling such as PET, glass, cardboard and even paper. There are thousands of companies that are dedicated to recycling these materials to give a brake to our planet. However, one of the largest pollutants still exists in the world and has already begun to populate the bottom of the oceans, deserts and even cities. This great pollutant is tires. The problem of throwing tires without consideration in the oceans, deserts and cities is that it takes a thousand years to decompose, but that’s not all. In addition to the accumulation we will have in the coming years; each tire emits toxins at the time of decomposition, so if we continue this way soon the animals will begin to die from the toxins, fishes will be contaminated as well as the water so the environment is in danger and also our own existence. Did you know that in the United States one tire is discarded per person per year? This is 300 million tires approximately annually. And we are only talking about the United States; if we add all the discarded tires of each country of the world we will be able to realize the magnitude of the problem. If we do not do something soon, this problem that becomes more serious every day will be something unsustainable that will cause tires to become part of the landscape. The tires are indispensable for our daily life; thanks to them we can transport us from one place to another quickly. But what about all those tires that has been broken, that are already too used, or that cannot be patched once again? Usually, these questions are not part of a conversation; even after replacing the tire, the only thing we think about is: At last my car is ready! Can I go now? 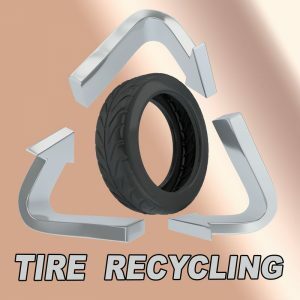 Have you ever asked in the place where they replaced your tire, what they do with the tires that have been discarded or if they perform some activity that includes tire recycling? For this reason we recommend that before leaving the tire in that place ask what they do with those tires. In case they do not recycle tires, you can check online where there is a nearby tire dealer so you can take your tires or leave them directly at our plant with an appointment. We have a tire recycling plant that can process scrap tires. This way you can contribute to the tire recycling chain. Our company has trucks, trailers and people that offer a service of excellent quality and reasonable price to tire dealers so they can get rid of their waste tire quickly and efficiently. The tire collection we offer is in all the California state. Derived fuel; is shredded material reduced in a few inches and we can make it with no or fiber and some industries use it as a fuel to produce their products. Derivade aggregate; which is used in civil engineer projects, for filling the ground in constructions, or to get points for the leed certification. Colorized rubber mulch; is used for landscaping and to improve residential gardens, also in some neighborhood this material is in the vegetation of the sidewalks. Colorized buffings; is the same as rubber mulch, we use it for the same purposes but the presentation is different. Colorized crumb rubber; this is usually installed on playgrounds or recreational areas. Granulate; this is without painting, and is used to the base of the playgrounds or for molded products and other applications, is just a really small size of black rubber. Infill material; it is similar to granulate, only it has a bigger size of granulate. This material is applied in the sport fields that uses artificial turf, is a different process from the other granules. The products we offer from tire recycling have many uses in daily life, help in gardening, improve the landscape in sidewalks, allow creating cushioned floors in children’s games, also serves to fill in construction projects, as well as making roads. Every day millions of tires are thrown in the world and the amount discarded grows daily. That is why Globarket decided to take a step forward and begin to raise awareness about the need to include tire recycling in our daily life; achieving positive changes in our society. Recycling tires is more complex than other items. However, we can reuse them in thousands of ways. Some of the uses that can be given to recycled tires are to create new tires, roads, shoes, playgrounds, and so on. There are even thousands of online tutorials that give creative ideas to recycle tires and turn them into chairs, tables, swings, children’s games, outdoor stairs and even pieces of art. The possibilities are many, you only need to make the decision to take care of the environment and be part of this great movement. 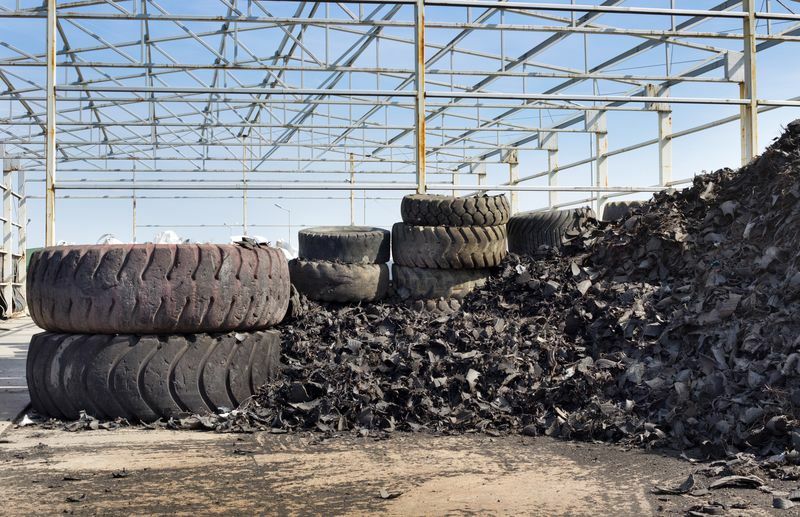 Some of the benefits of recycling tires are that it saves spaces in landfills, prevents the spread of diseases as well as the proliferation of mosquitoes and rodents. In addition, it helps to reduce the number of toxic emissions in the environment, reduces the number of tires thrown on streets and roads, and prevents them from being burned outdoors. When they are burned they emit more gases that are harmful to health. Emissions from burned tires cause cancer, congenital malformations, diabetes, damage to the hormonal, immune and central nervous system, as well as lung problems, among others. We invite you to join this great movement of recycling and care for the environment and most importantly to be part of the change to create benefits in our homes schools and businesses. We would really like you to know our products, you can browse our page to know our services and in the blog you will be able to know information of interest about our industry. Contact us at our email or on our phones, we will be happy to help you.